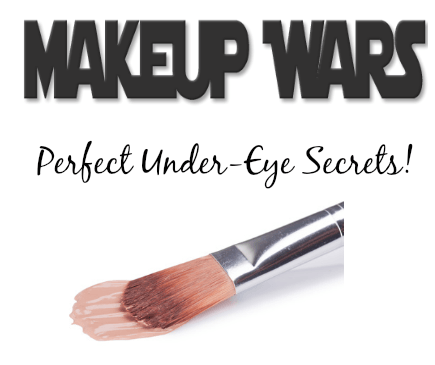 This week’s Makeup Wars is something I’m always on the lookout for…the products that are game-changing undereye secrets. They transform dark circles, bags, that haggard appearance. Today, we’re sharing our must-haves. I’ve had dark circles my entire life, so I’m always eager to test a new brightener or concealer. And since I’ve tried so many, I’m pretty discerning about which ones I’d recommend and rebuy. 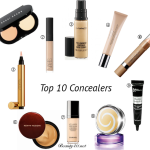 I’ve tried tons of concealers (you can read my list of Top 10 Concealers here) and there are a few that I consider the best of the best. The ones that I can really rely on to do the best job covering undereye issues. 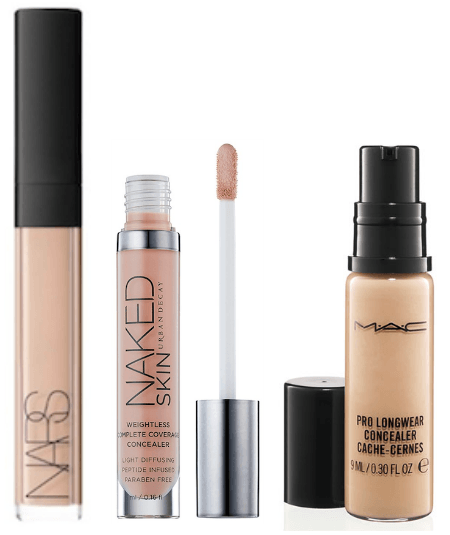 My “A-Team” include NARS Radiant Creamy Concealer (review), Urban Decay NAKED Skin Weightless Complete Coverage Concealer (review) and MAC Pro Longwear Concealer (review). 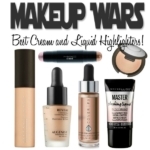 These concealers are medium-full coverage, don’t crease under the eye and are long-wearing. A new product that I plan to pick up is Dior Fix It 2-in-1 Prime & Conceal (I tested it this weekend in my local Macy’s, but stock wasn’t in yet). Used backstage, this is a dual-texture product. The inner core is a soft focus powder which refines and smoothes skin’s texture. 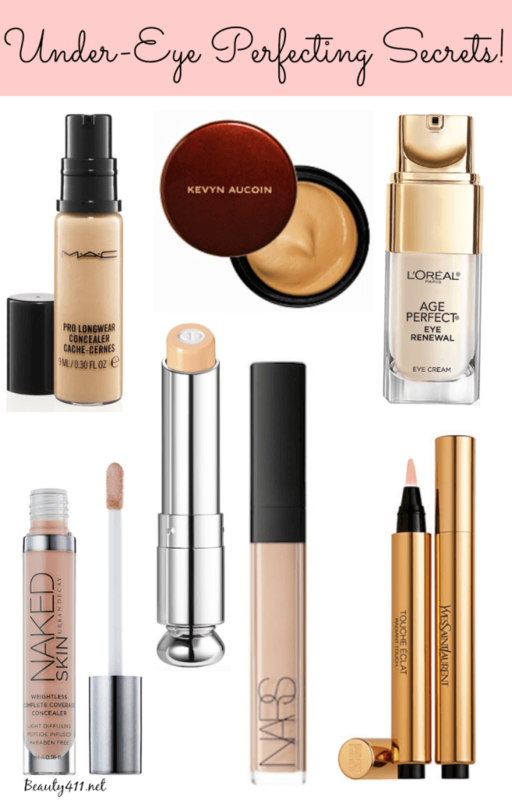 Surrounding that is a high-coverage concealer to mask skin imperfections and dark circles. Can also be used as a primer on lips. I love the feel and workability on the skin. 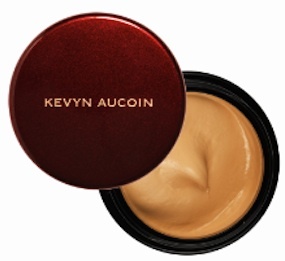 One undereye secret that deserves it’s own mention is Kevyn Aucoin The Sensual Skin Enhancer (review). This is a miracle in a jar, as it covers undereye circles, skin discolorations, hyperpigmentation, etc. This is full coverage and the most pigmented undereye product I use. Then there are the brighteners, because it’s not enough to conceal; you need to brighten. My absolute favorite? YSL Touche Éclat’ Radiant Touch (review). Honestly, in all my years of buying and reviewing makeup, there is just nothing that compares to this formula. I know it’s a splurge, but it’s one worth saving for. 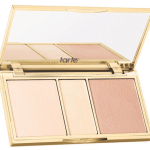 In addition to using it to brighten under eyes, you can also use it to highlight above cheekbones, down the nose and in the nasolabial folds. Concealers are great, but a good eye cream should be part of your daily skin care routine. For anti-aging, hydration and an overall rested look, I use an eye cream in the morning and before bed. My latest find is L’Oreal Paris Age Perfect EYE RENEWAL ($24.99) and I find it very effective without any irritation. The fragrance-free formula works on five problems: dark circles, eye bags, puffiness, crow’s feet and crepey lids. It’s very rich and hydrating and to be honest, I’d never know this was a drugstore eye cream! 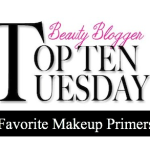 For other favorites, my Top 10 Eye Creams is a great reference. These are the game-changers that I count as my under-eye secrets. 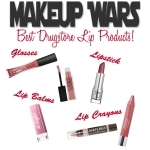 Make sure to see what products the other Makeup Wars beauty bloggers picked out! Disclosure: Some of the above products were received as press samples for editorial consideration, product testing, photography and review. Affiliate links have been used in the post, which helps to support this site. 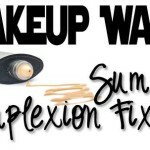 Makeup Wars Challenge: Summer Complexion Fixers! I’ve been lusting after the Kevyn Aucoin for years, but wanted to see it in person to chose a shade. But I really will be buying that Dior for sure, I haven’t seen it yet, I’m going to add it to my Nordie’s cart now! I have the Kevyn Aucoin, I need to try it! @Phyrra You do! It seriously covers anything! Yessssss Touche Eclat. Still one of the best concealers I’ve ever used. I never replaced my last tube and I can’t remember why. I have tried many products similar to Touche Eclat but none can beat it. I’m glad to read that the L’Oreal eye is fragrance free since I normally won’t go near any of their skincare.